Top Features Goal-based ETF investment portfolio. Rebalancing. Tax-loss harvesting. Socially responsible, smart beta + income portfolios. Human financial advisor access available. The human financial advisor drives the entire process. Together, you + the advisor create a customized investment plan. You can be as involved as little or as much as you’d like with your investments. The advisor monitors the plan. Rebalances your portfolio when needed. 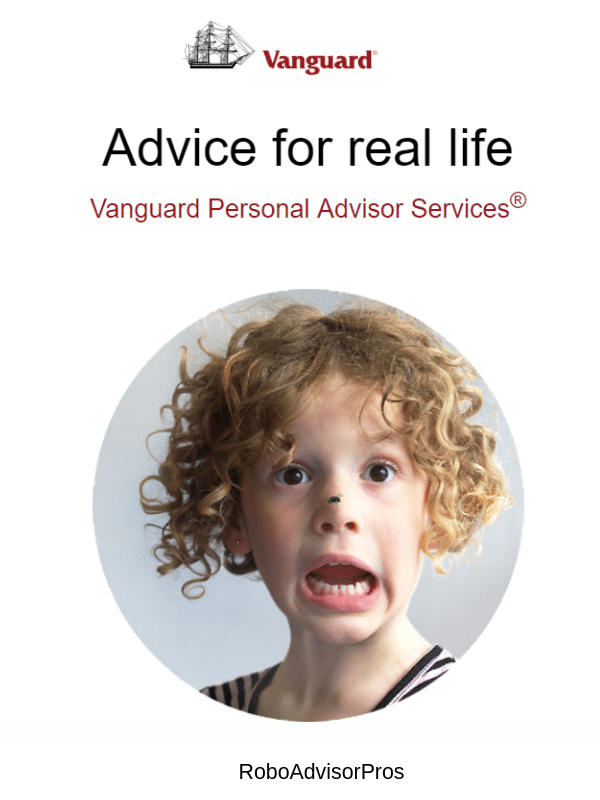 The post Betterment vs. Vanguard Personal Advisor – Which Robo-Advisor is Best for You? 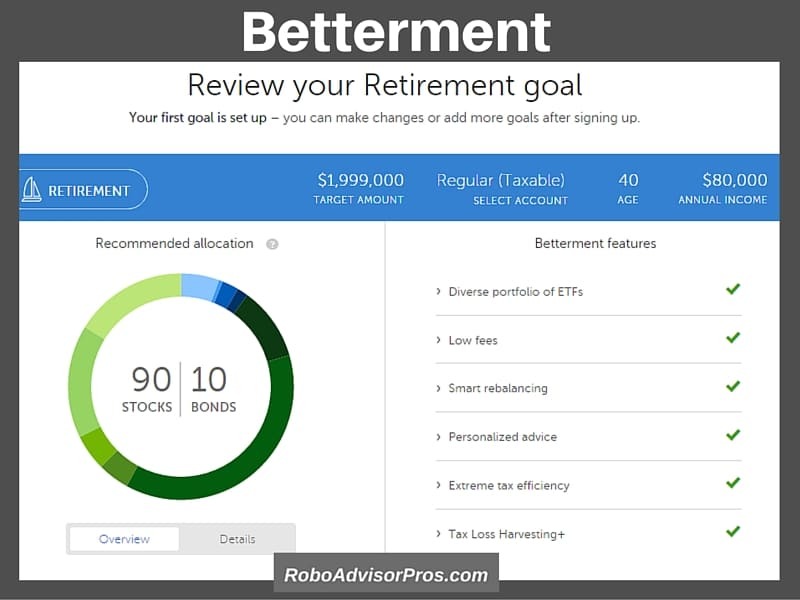 appeared first on Robo-Advisor Pros.